This guide produced by John Reid Vintage Movie Memorabilia. Please note that the information contained in this guide is copyright and cannot be reproduced without express permission of John Reid Vintage Movie Memorabilia. Belgian Movie posters are renowned for the striking and colourful graphic art often with unique images. Over the years many collectors have been disappointed to find that their prized Belgian classic Science Fiction or Universal Horror poster is in fact not original but actually a reissue or, worse still, a reprint. 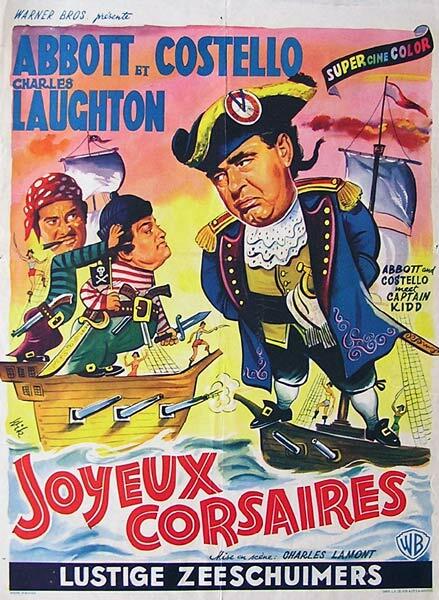 This guide takes a look at what to look for when searching for an original Belgian poster. You may have noticed the huge numbers of "original" Belgian posters for many great titles that have been sold on eBay over the years. Some dealers genuinely believe that they are selling original posters but they are often mistaken, either through a lack of research due to the lack of a decent information source but sometimes through staight out deception. Over the years I have purchased a great many Belgian posters and, like many others, have been caught out by dealers misrepresenting reissues as originals. 22" x 34" Pre War - these are very hard to find. 14" x 22" The most commonly found Belgian posters are in this format either in landscape or the portrait format. There occasional exceptions with some odd sizes appearing over the years. Here are some tips to consider when purchasing Belgian posters. Posters that have the words "Printed in Belgium" at the bottom of the poster are nearly always repros and of little value but they are often passed off as originals by sellers. It should be noted that these posters were almost certainly printed as repros without any intention to deceive but some sellers rely on the lack of either their own knowledge or the lack of knowledge of the buyers. Repros also turn up with no details at all on the bottom of the poster. 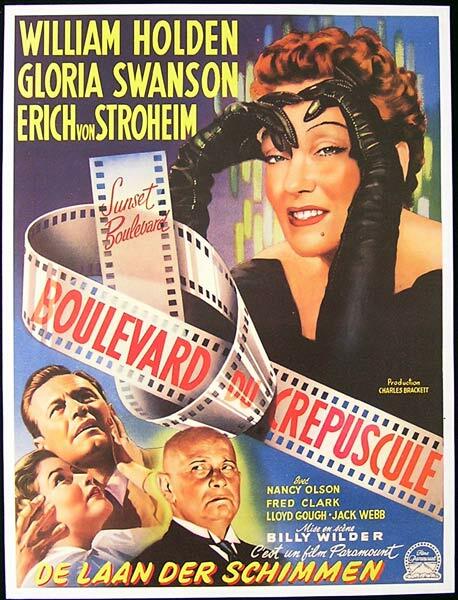 Sadly, the Sunset Boulevard poster pictured below is a repro. These can be far more difficult to pick. They often have exactly the same artwork as the originals. One of the best tips I can give you is to look for the name of the studio generally at the top of the poster. 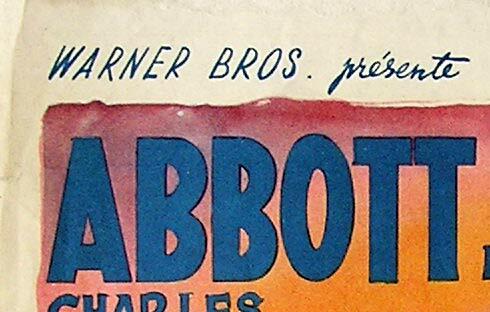 An original is likely to include the words "Paramount presente..." or Warner Brothers presente..."
Original Belgian posters will often, but not always, have tax stamps added. If a poster does not have tax stamps it does not mean that it is not original. Some posters survive without being used presumably obtained from distributors and they will usually not have tax stamps added. 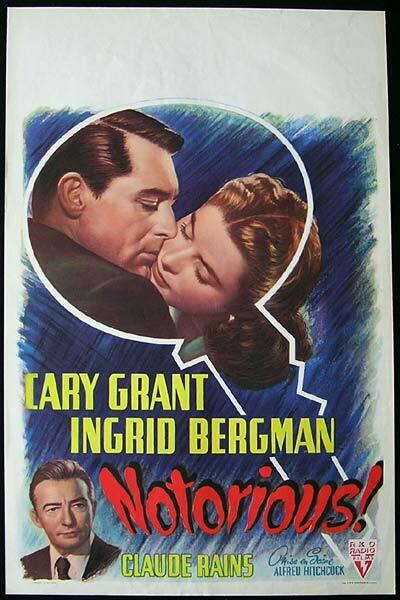 Many posters for films whose original release was in the late 30s or early 40s were in fact released in Belgium years later than the first American release. 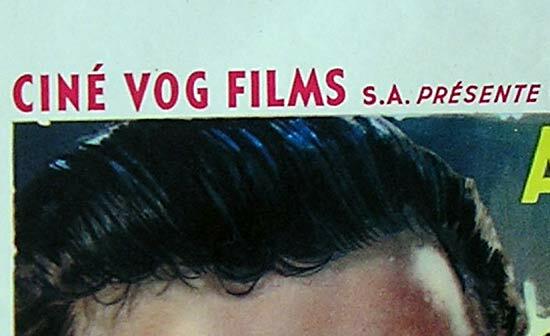 Many Belgian posters were trimmed in the white border area where the screening details may have been printed or hand written. This would obviously have a effect on the value but trimmed Belgian posters dont seem to carry the same stigma as say, a trimmed Window card. These will usually appear in the lower border and should be printed in Belgian never in English. It is not uncommon to see Belgian posters printed on the back of Maps or other documents presumably due to the paper shortage during the war. The top white Border will often have screening details added either printed or in the form of a snipe. From a personal viewpoint, I dont think that this detracts unduly from the value or appeal but it is more desirable to have a poster with a blank border. Many Belgian posters appear with the top white border trimmed. Once again, I dont feel that this is a major issue providing that the studio details are still present eg "Paramount presente..". The fact is that so many Belgian posters have the top borders trimmed that it has become quite acceptable. I have seen a number of Belgian posters appear at major auctions with the top border trimmed with little affect on the price. Of course, a Belgian poster with the border intact is more desirable than one with a trimmed border. Belgian posters can look superb when linen backed but there are one or two things to consider prior to backing. 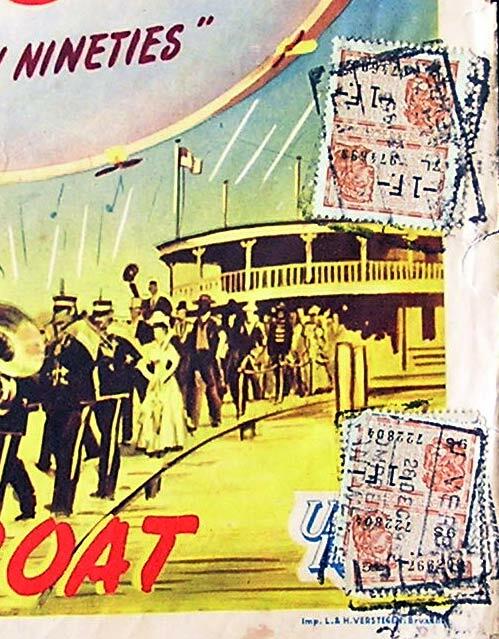 The linen backing process would ordinarily remove the tax stamps but some people like to retain these as part of the authenticity of the poster. If you want the stamps retained you need to advise the restorer before they back the poster. Another important consideration is that posters printed by "Lichtert" have been known to lose their colour when linen backed. Part of the linen backing process is generally to wash the poster first. I have seen the colour on some posters that were printed by Lichtert completely wash away. If you plan to have a Lichtert printed Belgian poster linen backed be very careful! A further consideration is the top border. If it has been trimmed a restorer can generally replace it but I have seen many Belgian posters backed without the trimmed border being replaced. Not much is known about Belgian artists and they rarely signed their work. This is a pity because many of the artists were exceptionally talented. One artist who did sign a number of posters was "Wik". If you can provide more information on Belgian poster artists please let me know and I will add the details. The poster below features art by "Wik". 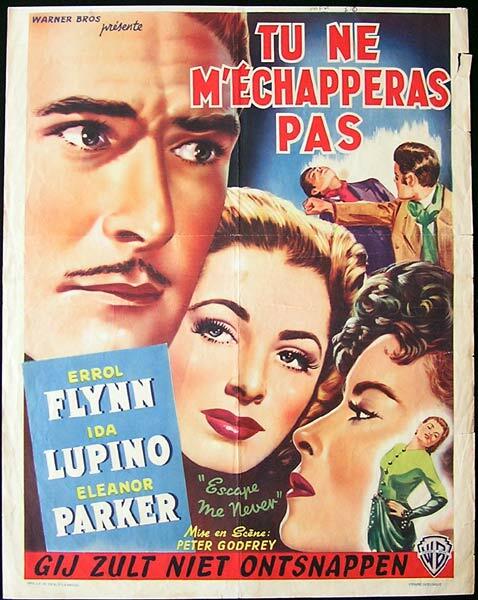 The title of the film is usually printed in three languages French, Flemish and English but many posters, particularly older titles, appear without the English title. Some collectors have said that they do no like the posters with titles printed in a foreign language and that this detracts from their appeal. I can't really see the logic in this and I find the different languages quite appealing particularly when the French or Belgian translation is quite different from the English title eg the French translation for Dial M for Murder - "La Crime etait presque Parfait" which roughly translates to "The Crime that was almost Pefect". There is no doubt that Belgian posters for some titles appear with almost monotonous regularity while others are rarely seen. As always with movie memorabilia, the buyer should research prices and rarity through the various free databases that are available. If you have any information that you think I should add please contact me. My guides have been written purely to pass on some of the knowledge that I have acquired over the years as a movie poster dealer and to provide a reference point for collectors.